Today's #BEDN topic is "Home Sweet Home". I moved in with Ben at the end of August and in the main, it's been great. I think we've got into a groove now, of how to make our home work for us. When I first moved in (and about three months before it actually), Ben was adamant about me not changing a thing. He doesn't like change at the best of times, and to be fair, it was his home first. He was worried that I'd rock up with my candles and endless bits of Ikea homeware and completely change the place. I think he thought in terms of me "putting my stamp on the place," I'd trample over everything he already had. But in truth, we have pretty similar tastes. I've had to be quite softly, softly with any changes I've wanted to make, you know, ease him into it. He's happy though, as anything I've wanted to buy has had a legitimate and practical use #WinForHim... and just happens to be aesthetically pleasing #WinForMe. But, I'm ready for another homeware injection. I've been eyeing up the Habitat website on a daily basis as payday approaches, and even have a few pinterest boards dedicated to this ever building wishlist. For me, it's the small things that make a house a home. It's just that I'll be buying a lot of small things come pay day. 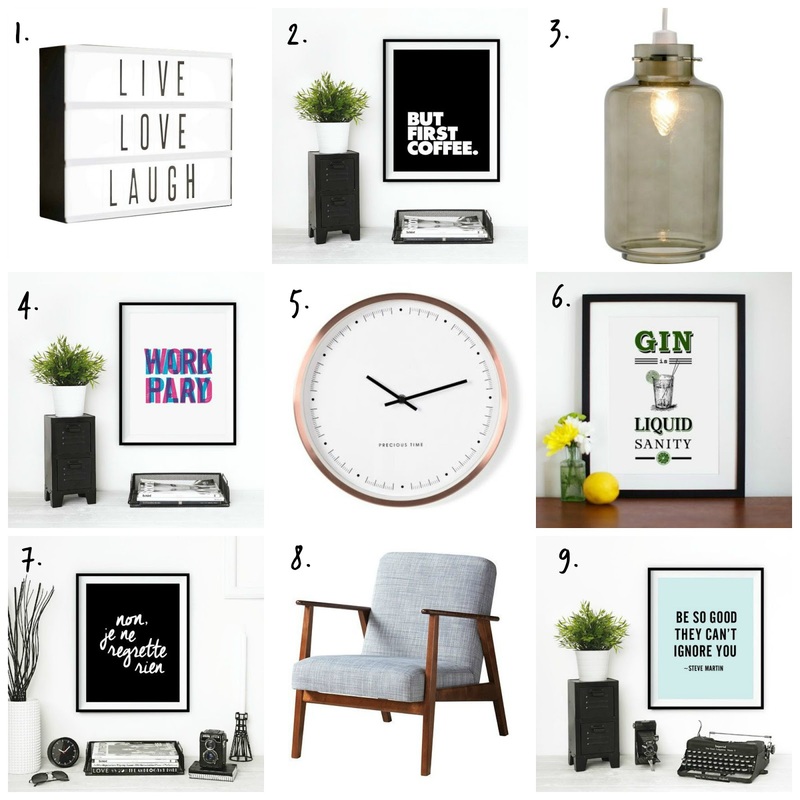 Did someone say homeware haul? Ben's bought a few prints, and when the words "picture wall" came out of his mouth, I was all over it. So Etsy will be seeing a lot of me over the next month or so.